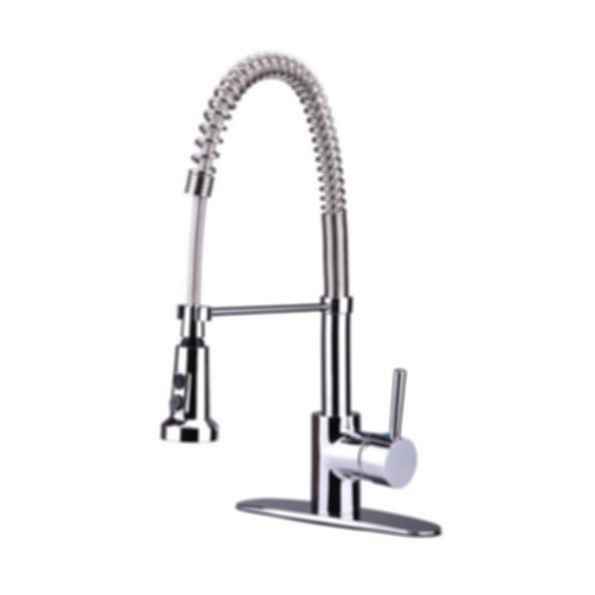 Professional style spring pull-down faucet for residential use. Single lever handle for easy control. 1 or 3-hole installation with optional deck-plate included. 2-function pull-down wand for spray and stream. Swivel spout to accommodate sink access. Flexible stainless steel braided inlets save the cost of buying separate supply lines.